The top one on my list is Saffron Restaurant in Sharjah (Al Mareija, near rolla) and I can proudly say they have the best nan, channa, haleem & halwa out of all. The place is quiet clean and well lit and the management is the best you will just fall in love the way they care about you and I think one major reason I keep on going is because of the managements hospitality. 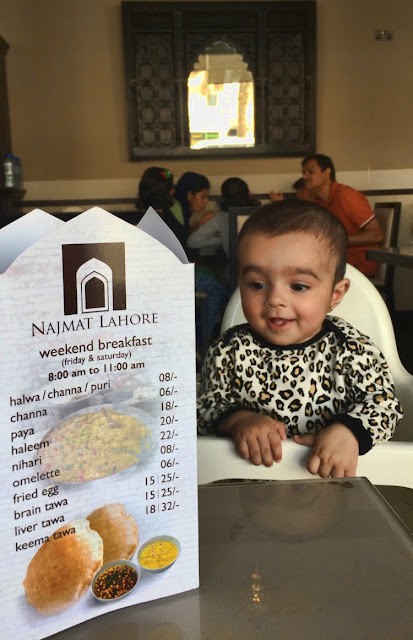 So far I have tried their Nan (Kulcha, Saada Roti, Rogni Nan), Haleem, Channa, Halwa, Puri, Pakistani Omelette and Lassi and would rate it the best option so far in UAE. You won't get any parking issues over here either and if you are having any parking issues just let the management know and they will help you out in that. Let's just come to the drawbacks; firstly they don't have any alu ki bhujia to complement the halwa puri channay. The breakfast is only served on Friday & Saturday and keeping in mind the traffic scenario which people usually face in sharjah I would only recommend going on friday. Lastly they are a bit over priced considering the alternative options. So that's it for Saffron you can locate them on google map if not I am attaching a shot of their menu. 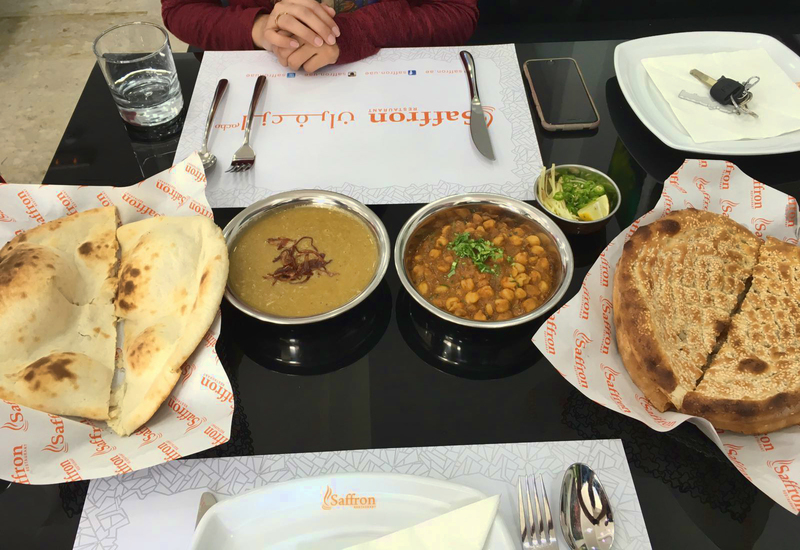 Another gem in sharjah which is already quiet popular in Sharjah and coming right to the point for me their channa's weren't that good. 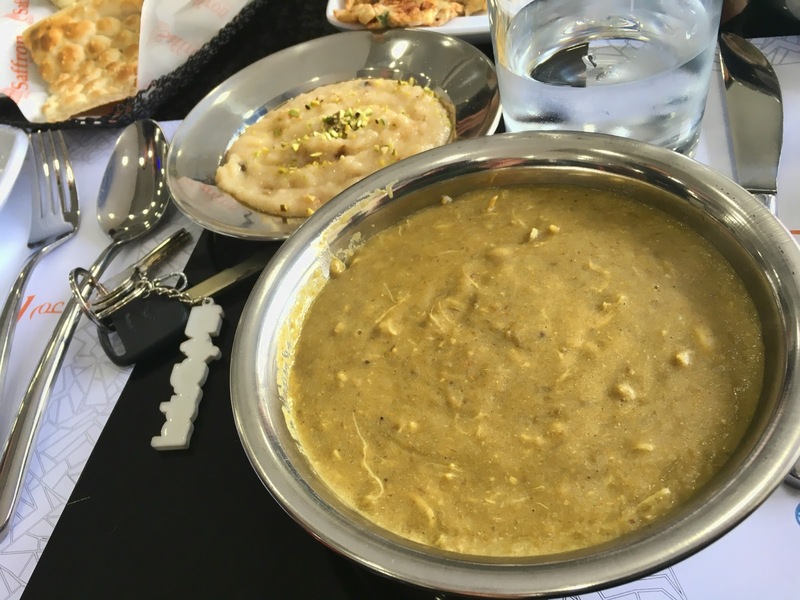 Their haleem was decent and their nan was amazing but since it is a family oriented place I don't mind going there though their halwa puri is quiet good. 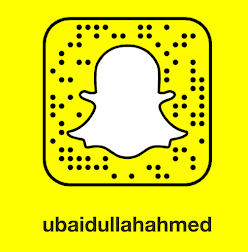 Unfortunately was not able to take any picture I was so hungry that nothing else mattered so ended up making a quick video for snapchat. 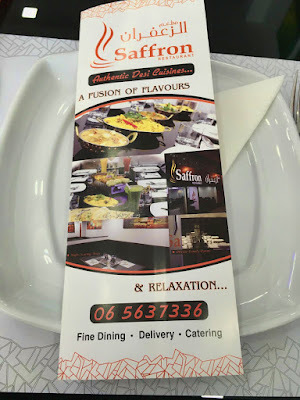 For those of you who love paya or nihari this is the go to place as compare to Saffron. Since I am not a fan of nihari or meat so I didn't try but few of my friends recommend trying them. They are bit spicy as well oh well a lahori has to eat what a lahori has to eat. This place just opened around two months back and the best thing about it is that it is right near to my place so today I ended up trying their food. 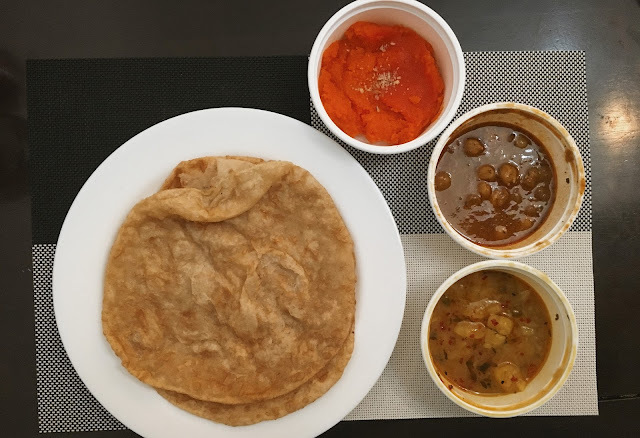 I tried their halwa, puri, channa & aloo ki bhujia which comes in a pack and the price is quiet reasonable as well only 8 AED which includes two puris. 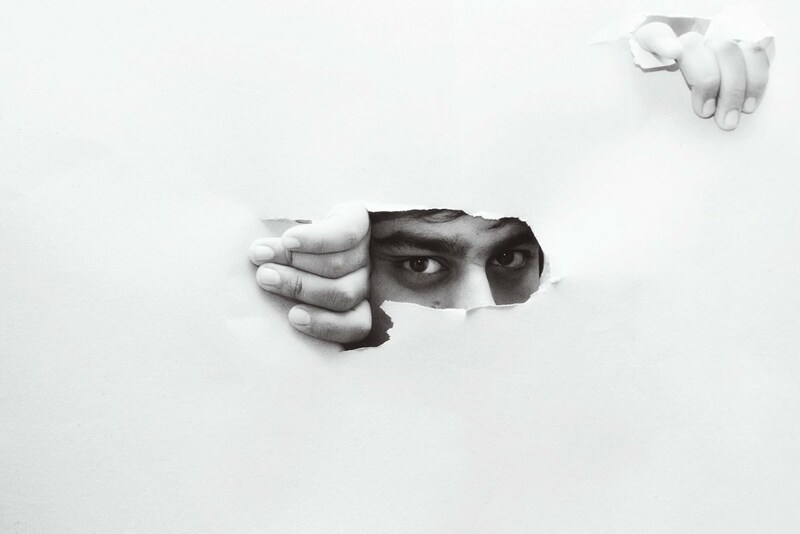 Though their biggest drawback which people from Karachi would not mind but like I keep on saying bhai mai lahoriiii houn mujhey nan channay ki lattt hai so you know what the problem would be NO NAAAANNNNN. Like who opens up a restaurant in the morning and doesn't make pyaaray pyaarayy kuchlay for Ubaid but oh well I forgive them just because they had amazing channa and aloo ki bhujia. 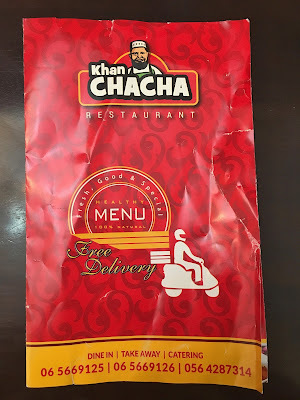 Am not being a racist or anything but one thing I feel is that restaurants owned by punjabi vs restaurant owned by people of Karachi has one major difference; punjabis listen to their customers opinion and try to make things better but karachites foran hi try to become PIYOOO of everyone and give a over smart approach. 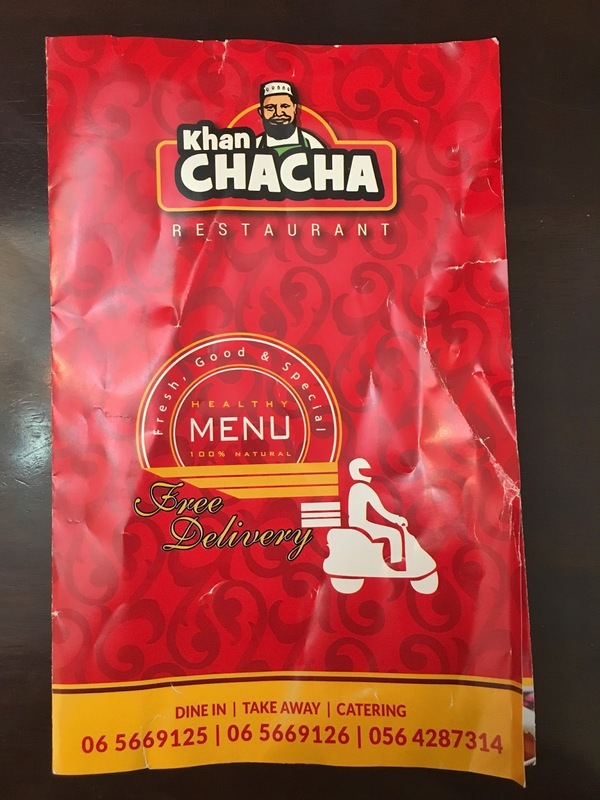 So if you like good food with good management go to Saffron or Najmat-e-Lahore but if you just want home delivery and weird management go for Khan Chacha. p.s. 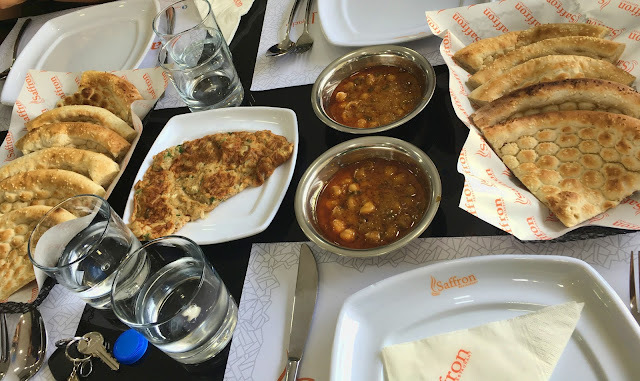 If you guys know any other better option for DESI breakfast in UAE do lemme know would love to try it oh and if you love desi breakfast as much as I do we will go together. Do try Delhi Nihari Restaurants in Sharjah as well..
@taha already did, and it was bad.